This small and very readable book (very re-readable; meditation-worthy even) is a contemporary classic and ought to be much better known. Miller's perspective is thoroughly biblical and acts as a corrective to the sloppy and doctrinally-illiterate state of easy-grace American Christianity. When the Christian daily sees what he or she has been--and is being--saved from, gratitude finally blossoms and the Gift become truly dear. Quick, humbling read. My second time through it was just as good as the first time. Recommend it to anyone wanting to deepen their understanding of repentance. Reaffirms the Martin Luther quote "All of life is repentance"
The language is a little outdated (it was written in the 1970's), but the concepts are powerful and beautiful. Jack Miller's life really seemed to embody the principles in the book. And the epilogue by his widow, Rose Marie Miller, is worth the price of the whole book. This is a pretty good treatment of repentance. Its main theme is that of distinguishing Gospel-centered repentance from self-centered penance. That's a pretty valuable distinction to make and Miller does a good job exploring it.I also appreciated his approach of setting the doctrine of repentance in relation to notable epochs of redemptive-history. So, he discusses repentance in relationship to Christ's ascension and lordship over history. He also discusses it in relationship to Pentecost, and also in relationship to eschatology.Personally, I would've liked a chapter that simply outlined a confessionally Reformed understanding of repentance. The book spends a lot of time talking about repentance and assuming (just a tad) that everyone knows what this is.Many know Miller from his leading role in the New Life movement and Sonship theology, and there are moments when the book drifts into the subjectivism of those things. As a result, those with an agenda to hunt for possible doctrinal deviation, and those who live to declare others to be insufficiently Reformed will find a few hills on which they would probably gladly die in this text.But for those (charitable) readers, who are looking for a word to help them understand the need for daily repentance and how daily repentance draws Christians closer to Christ, these ones will find a blessing in this short book. I liked this book, it specifically dealt with the question I have been trying to answer: "How does one live a life of repentance? "I have heard the term, didn't really know how to answer that.Miller's book reads more like a conversation that drifts in and out of specific topics about repentance.His basic take on repentance is that it is needed for salvation and for the Christian each hour of the day. Repentance being "to turn from sin and turn to God", one has to also develop not only a sense of the depth of one's sin, even as a Christian, but also the depth of the love of God in Christ and his sacrifice.Topics, chapters include repentance as the foundation to life, the counterfeit of pride, self-righteousness, self-justification, penance.It's a book that I will have to come back to. "Repentance begins at conversion—but it doesn't stop there. It's an ongoing attitude for daily living in Christ. True repentance puts us in right relationship with the Lord and enables us to walk in the fullness of His Spirit, growing and being used in His purpose for us." This is an excellent book written in manuscript form by Jack Miller in 1973 as a personal reminder to continually pursue humility in repentance before God. A decade later he and his son Paul would found World Harvest Mission and the Sonship discipleship material that continues to emphasize this theme of daily returning to the gospel and gaining strength through Christ's free gift of his own righteousness rather than through an highly inflated and false view of our own self-righteousness. It was interesting to see these ideas being fleshed out in such a raw way while at the same time I found it convicting, challenging, and truly encouraging. I've never seen so clearly how intertwined humility and true repentance are and how fundamentally opposed my own pride is to repentance. Highly recommended! This book has given me a renewed sense of how essential it is to live in daily repentance, dependence, and reliance on the Holy Spirit. Only by being aware of how great my sin is, and how much greater my Savior is, can I begin to understand humility. By grace, the Holy Spirit points us to the beauty, and glory, and splendor and perfection of the Gospel. Miller's wife sums it up well when she says in the epilogue of this book about her husband:"To him repentance was humility is action- a humility that doesn't stand on the mountain of pride, but instead asks for daily help from the God who gives grace freely to all who ask." I am so grateful that I found this book at a thrift shop and read it! God is amazingly gracious! A classic. Jack Miller has mentored scores of leaders all over the world, Tim Keller among them. You can hear echoes of this little book in Keller's best writing. His son Paul Miller is admirably carrying on his legacy. A good book on a neglected subject. If half of the book was as good as chapter two, it would easily get a five-star rating. Chapter two is all about distinguishing penance from repentance - big difference! Read it if only for that chapter. 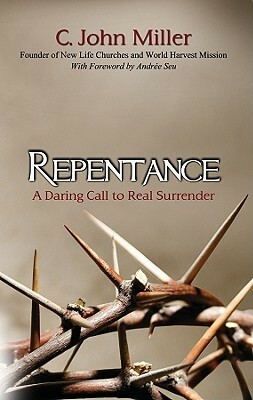 Very helpful book on repentance. After going over what biblical repentance looks and feels like and dispelling some myths about repentance and sanctification, he considers how repentance plays into evangelism and counseling. Recommended. Need to read this book again. Excellent thoughts and truths that I really need to think through with Scripture. Very thought provoking and challenging. I must read this again before I am reading to give a full account. I am glad I came upon it. I thought the distinction between "penance" and "repentance" was very helpful. A very important book. It is so critical for us as believers to cultivate a lifestyle of daily repentance, if we want to experience the joy of fellowship with our Father.